It is that time of the year again. If you are looking for some gifts for the holiday season, here are some ideas that should help you out! 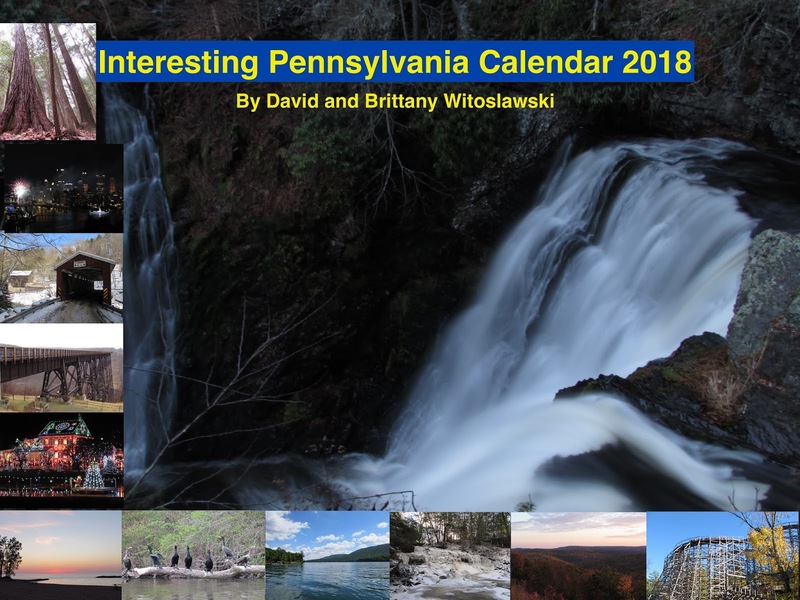 We have created a 2017 Pennsylvania wall calendar that features many different sites from around the state. It is available for only $9.98 plus shipping through this link, or through the dropdown menu at the top of the page. If you love our photos and would like to get a print made of them, or even a throw pillow, phone case, greeting card, poster, or something else made with our photos printed upon them, check out our photo print page at Fine Art America. If there is a certain photo of ours that you really like that is not included, message us at contact@interestingpennsylvania.com and we can arrange for you to get what you would like. Below is a sampling of our photos that are available. 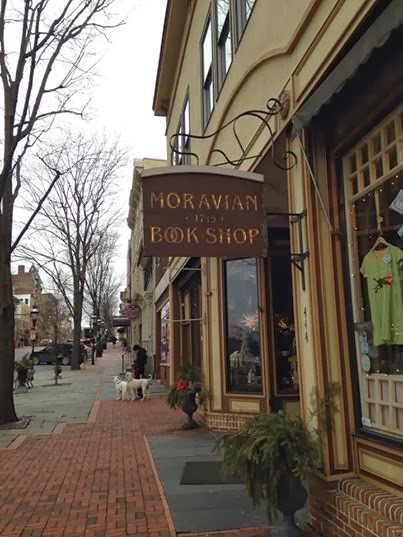 Pennsylvania is home to many great local bookstores that carry a wide assortment of gifts in addition to literary works. 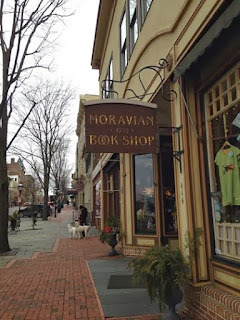 The first place that comes to mind is the Moravian Book Shop in Bethlehem, the nation's oldest continuously running bookstore, along with the many little shops in the downtown Bethlehem area. Other areas that come to mind for having an awesome selection of little shops are New Hope in Bucks County, Jim Thorpe in the Poconos, Wellsboro near the PA Grand Canyon, Gettysburg, and many others. Shop local and support the many awesome small businesses and shops that are located throughout the state. 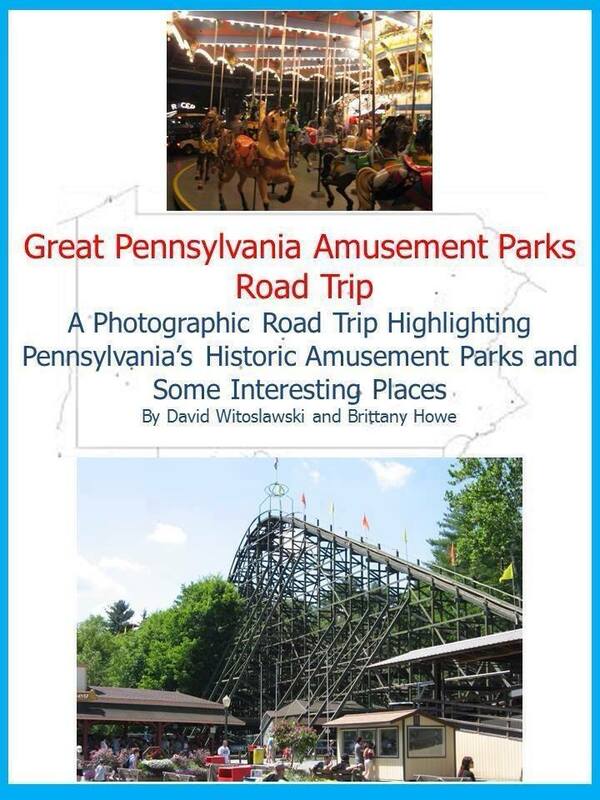 We wrote this book about the ten different awesome and historic amusement parks throughout the state. Pennsylvania is home to more wooden roller coasters than any other state, and many rare or last of their kind rides. These parks have brought joy to Pennsylvanians for many generations and we cover these parks in our book, including Knoebels, Kennywood, Waldameer Park, Idlewild, Dutch Wonderland, Lakemont Park, Dorney Park, DelGrosso's, Conneaut Lake Park, and Hersheypark. Instrumental park visionaries, ride designers, and timeless memories of these parks are chronicled in this book, along with some cool regional places to check out in the areas of these different parks. It is available through the dropdown menu at the top of the page, or through this link. 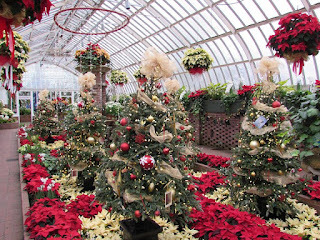 There are a wide variety of different seasonal gift markets throughout the state. Some of our favorites include Bethlehem's Christkindlmarkt and Christmas City Village Weihnachtsmarkt, and Pittsburgh's Holiday Market. Additionally, Philadelphia runs Christmas Village, Mifflinburg runs Christkindl Market, along with other holiday markets. Pennsylvania's old German roots go hand in hand with the German style holiday markets that are thrown all across the state. They are excellent places to go have a good time and to get your holiday shopping done. The Martin Family has produced guitars in Nazareth, PA since 1838. Their facilities and museum are open to tours and we highly recommend checking them out. The Crayola Experience in Easton offers a neat museum experience for the little ones. Their crayons are always a great go-to as a gift. BWP Bats are custom made in Brookville, PA and are used by many Major Leaguers. K'Nex were originally invented and produced in Hatfield, PA, and have relocated back there after moving production overseas. Their products make great gifts! 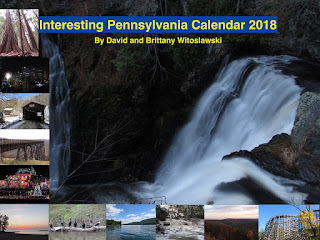 Scott Brown's excellent Pennsylvania Waterfalls Book has some excellent insights into some of the Waterfalls throughout the state. I thoroughly enjoyed reading the book and it has inspired me to check out some of the listed falls. I received this as a gift last Christmas and it has some excellent examples of hikes throughout the state. We highly recommend it. Groupon always has excellent deals and certificates make excellent gifts. Some of the deals they have going right now include a sightseeing cruise on Pittsburgh's Three Rivers on the Gateway Clipper, a sightseeing helicopter ride over Pittsburgh at half off, a year long family membership to Philadelphia's Academy of Natural Sciences, and a sightseeing pass that gives you admission to a number of Philly's great museums. So here you go! These suggestions should help you out with your holiday shopping!